gravel fill was encountered across the site and classified as unsuitable to support the store. 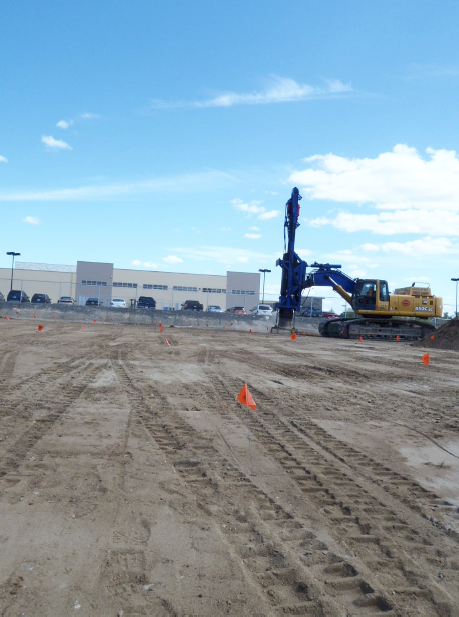 The compaction areas were all vacant lots that had previously been cleared and stripped of topsoil. 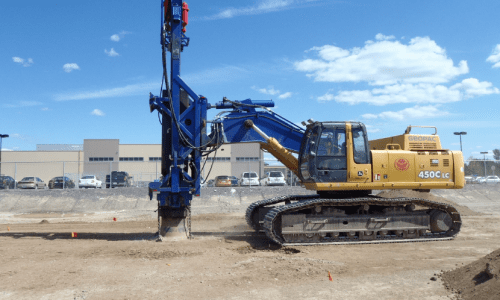 The soil conditions encountered generally consist of a surficial layer of loose to compact, fine to medium, brown sand fill, with gravel, cobbles and boulders, approximately 2 meters thick, underlain mostly by silty sand / silty clay glacial till. 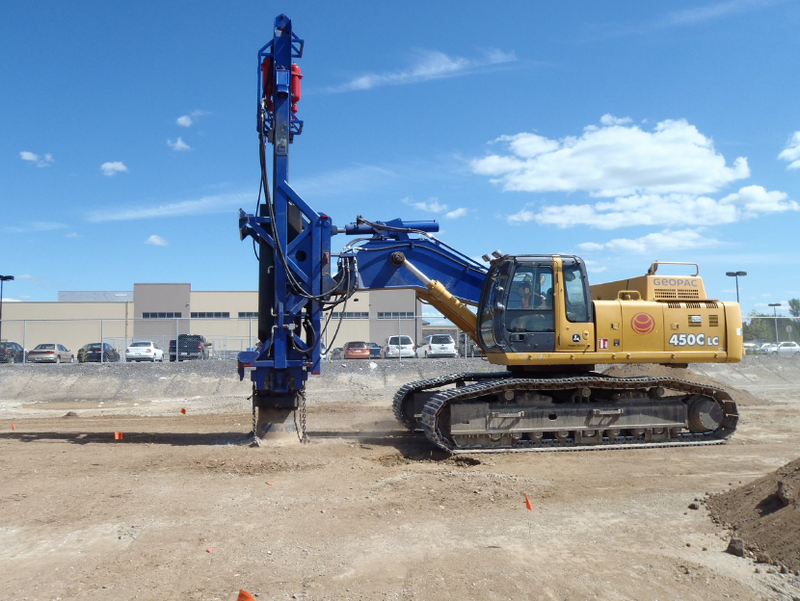 Geopac proposed a ground improvement approach of Rapid Impact Compaction (RIC) using the GeopacTOR to compact the upper 3.5 meters of soil, providing a stable founding soil.The total area improved using Geopac’s GeopacTOR, RIC solution was 3,700 m². Based on Geopac’s design, a 9 ton steel weight was dropped from a height of 0.9 m, up to 40 times per minute, under the slab areas and footing locations. The RIC program was completed on schedule, with all tests achieving the intended results. 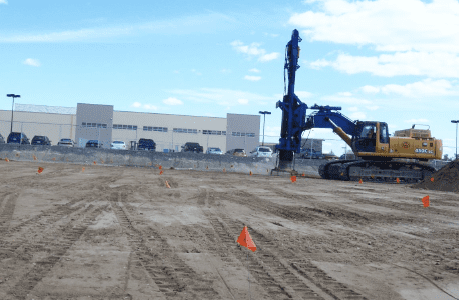 Geopac delivered an appropriate solution of soil improvement, providing a cost-effective method of ground improvement appropriate for the project.